If you have a question, please check my Frequently Asked Questions page prior to emailing me. I’m based in western Wisconsin, USA. You can read more about me and my business on my about page. I am a one person business and am proud to be able to help support my family doing something I love and am passionate about! 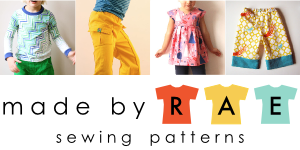 I’ve been creating and selling my original patterns since 2010. I’d love to see the projects you make using my tutorials and patterns. Please use the hashtag #noodleheadpatterns (or the specific pattern hashtag as noted at the end of each pattern) on social media. And don’t forget to tag me, too! Want to join a fun community of other makers? My facebook group is a great place to chat sewing or ask questions.